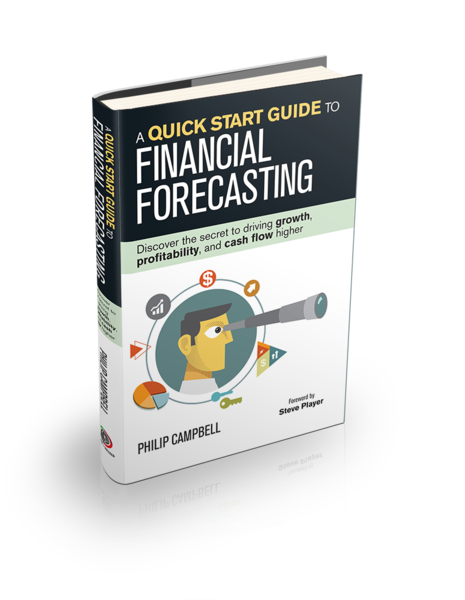 From Philip Campbell’s book A Quick Start Guide to Financial Forecasting: Discover the Secret to Driving Growth, Profitability, and Cash Flow Higher. Buy the book at Bookmasters (including a PDF version you can download immediately). Get the book on Google Play. The single biggest reason the small business failure rate is so high today is this one simple fact: Most business owners don’t really know what’s going on with their most precious asset – their cash. Despite the fact that cash is the lifeblood of the business, the fuel that keeps the engine running, most business owners don’t truly understand thier cash flow. As a result, more businesses are failing today than ever before. 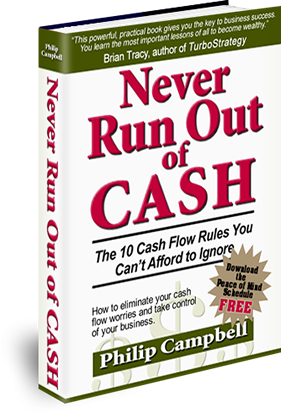 Never Run Out of Cash shows you a powerful and simple set of principles that will transform the way you manage your business from this point forward. It’s an easy-to-understand, here’s exactly how you do it approach to understanding and managing your cash flow. Buy the paperback at Amazon. Get the book on iBooks. Get the book at Google Play. I’ll show you how to explain what happened to your cash last month to your business partner or banker (or maybe even your spouse) in a 2-minute conversation. I take off my CPA hat and I speak in the language every business owner can relate to. No jargon. No stuffy financial rambling. Just a simple, common sense approach that only takes 10 minutes a month. The video presentation of the course. 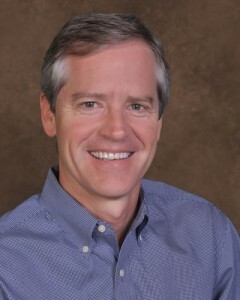 This is a screencast that you can watch and listen to on your favorite device. 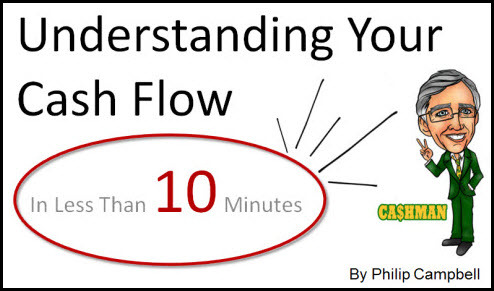 I walk you through the step-by-step process and show you how to understand your cash flow in less than 10 minutes a month. The course workbook. This is a downloadable workbook to help you get a fast start with the course material. It has all the examples and everything you need to complete your first Cash Flow Focus Report. The Cash Flow Focus Report. You get the links to download the PDF or spreadsheet version of the Cash Flow Focus Report. 10 minutes a month with this unique and simple tool and you will wonder how you ever got by without it. The slides from the presentation. You can download a document with a copy of each slide from the presentation so you can go back to any specific example or portion of the recorded presentation. I provide a no questions asked, 100% refund guarantee with the course. If you don’t love the course I’ll refund 100% of the purchase price. Learn more about the course. If you have already purchased the course (and/or the related coaching), get the full course here.